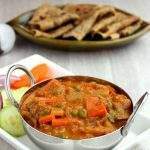 When I eat out in Indian restaurants here in US or in any restaurant in India, one of my favorite things on the menu is Parotta Kurma. 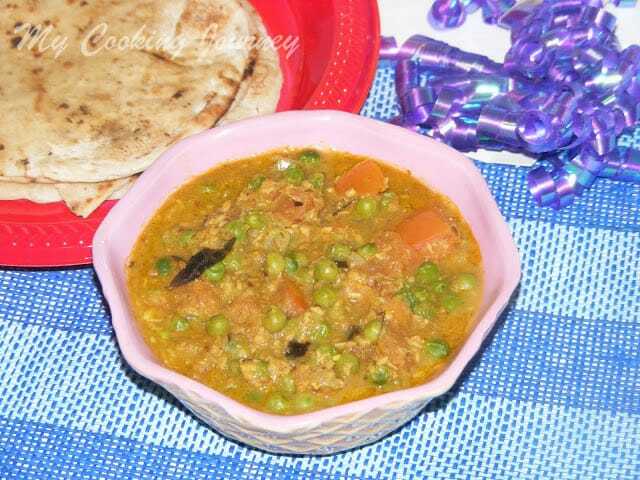 I really love the kurma/side dish that they serve with the parotta. 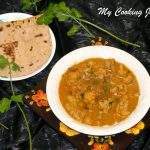 This is a recipe that I found on the internet long back and this is as close as I got to the flavor I love in the restaurants. 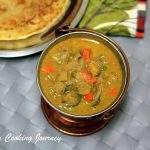 I found this recipe way back in the internet and I forgot the exact site where I found it. 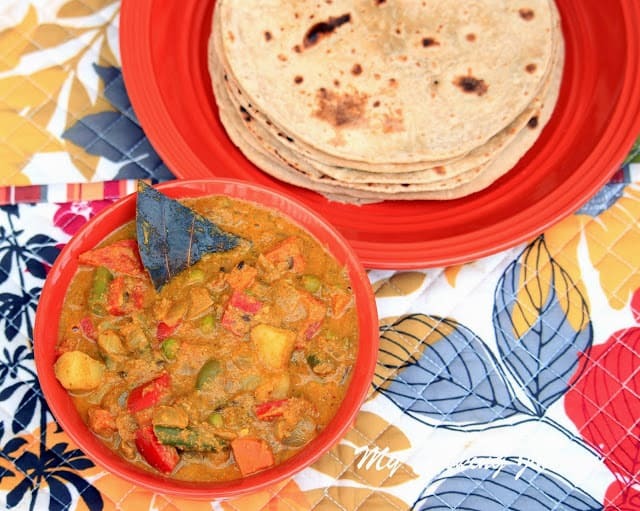 We eat roti’s quite often at my house (in spite of being a South Indian). I am always on lookout for practical side dishes. This recipe does have a long list of ingredients, but they are pretty common ingredients and should not be hard to find. 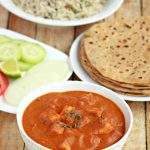 Also when it comes to the spices, if you miss one or two, it is alright and should not really change the flavor of the dish too much. Steam the vegetables until they are half way done and keep aside. 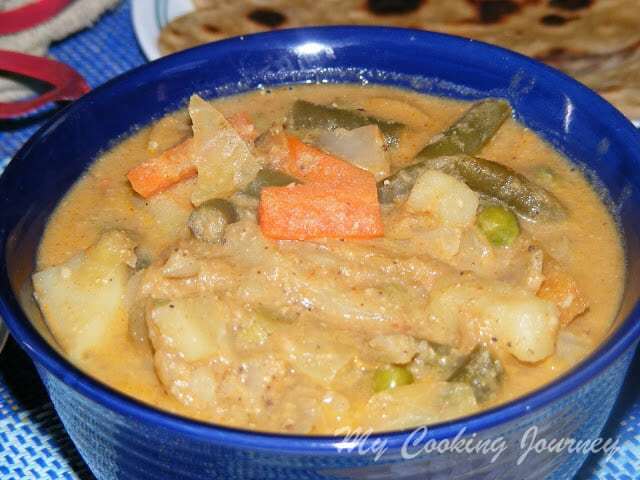 Grind all the ingredients listed under gravy to a smooth paste and keep aside. 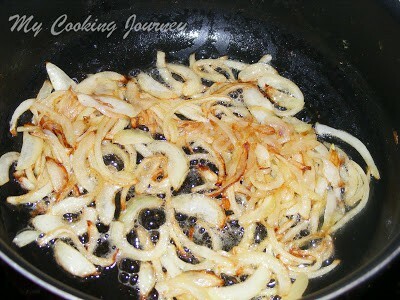 Heat the butter or ghee in a heavy bottom pan and sauté the sliced onions until they are caramelized. 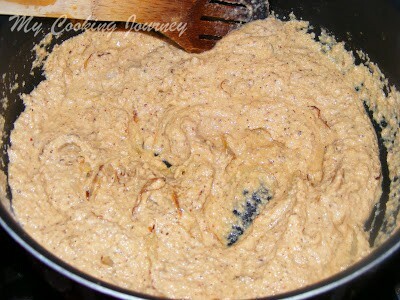 Now add the ground masala and fry it in medium heat until the oil separates from the sides of the masala. This would take at least 15 to 20 mins. Even if the masala starts to stick to the bottom, sprinkle little water and keep frying. This stage is very important. The more the masala fries the better it tastes. 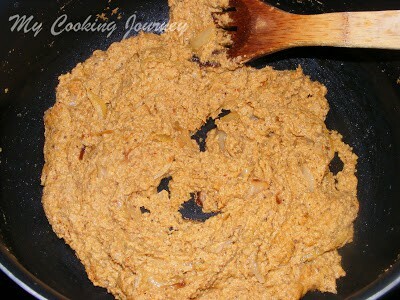 So make sure that you do not hurry up on this step and keep frying the masala is low heat. 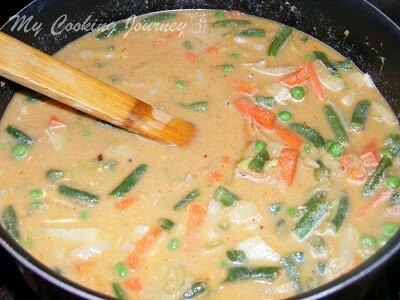 Once the masala is cooked well, add the steamed vegetables along with some salt and mix well. Also add about 2 cups of water to bring the gravy to desired consistency and mix well. 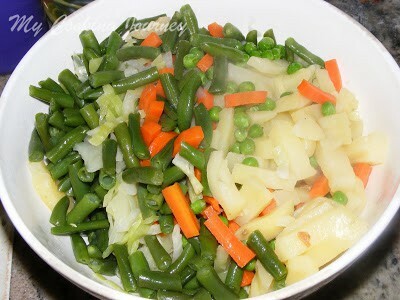 Let it boil on low heat until the flavors are well blended and the vegetables are cooked through. 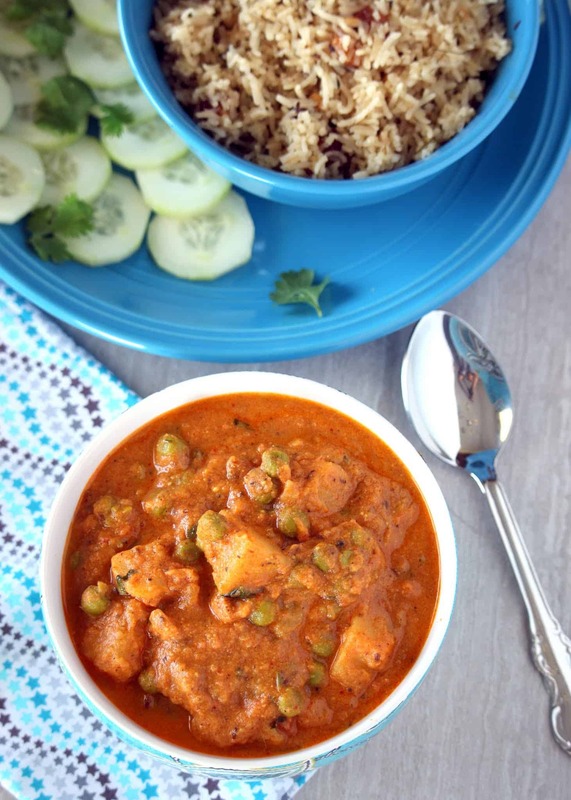 Garnish with cilantro and serve with roti’s or rice. 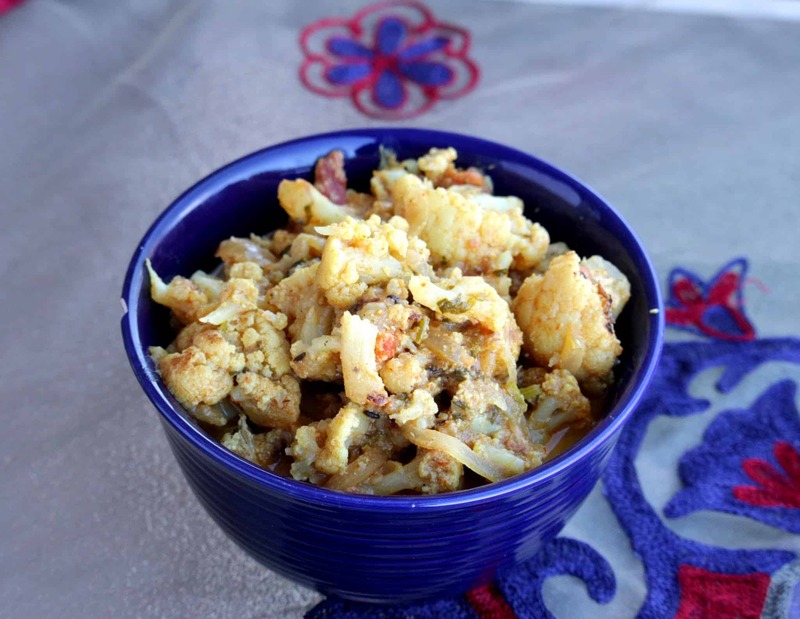 Check out my other kurma recipes here! This is what is for lunch tomorrow at my place!!! 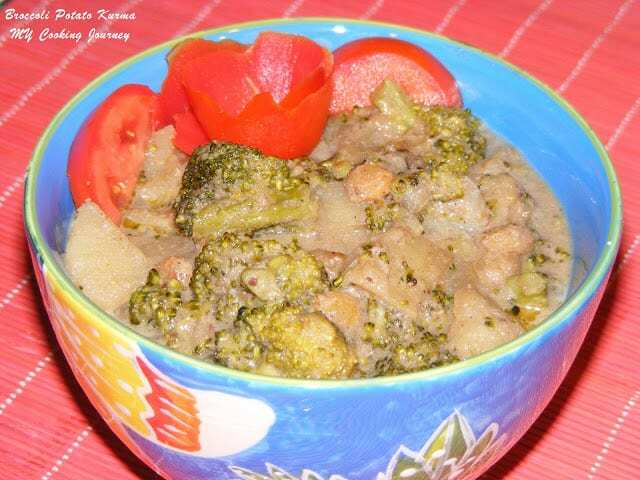 kurma is my all time fave, this looks so delicious. 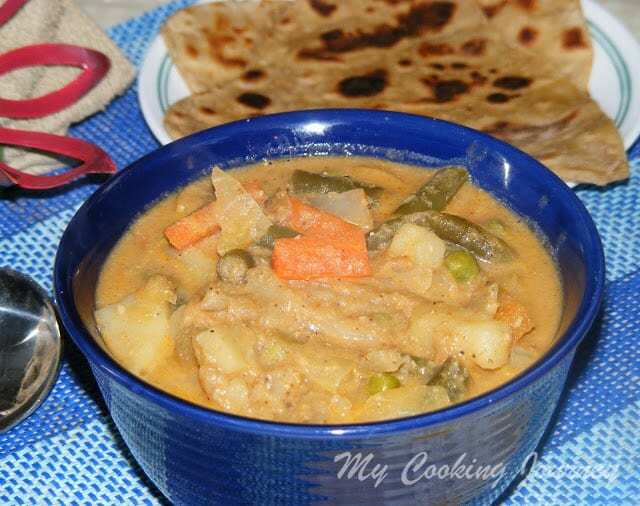 All time comfortable food .Everyone's fav nice click sandhya ji. 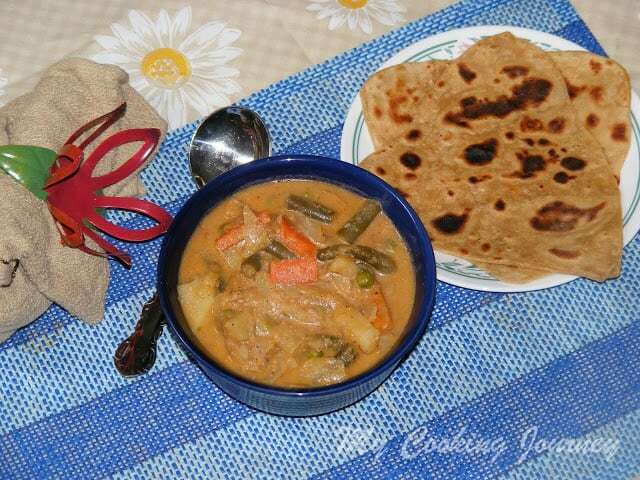 That kurma looks scrumptious sandhya! Would love some soft roti to mop that rich side! 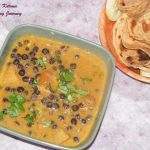 The taste of poppy seeds must be so good in the kurma, we don’t get it here, one of the things I miss! !